Honda prides itself on designing vehicles that are centered around safety and built to be dependable at all times and in all different types of scenarios. This extends to the seasonal driving you may experience here in Rhode Island, with rain, sleet, snow and ice all influencing the roads we drive on at one point during the year. To verify secure travel, even in these brutal conditions, Honda came up with Real Time All-Wheel-Drive with Intelligent Control, standard in some Honda models and available in many across the new lineup. This innovative system is built for you to depend on with uneven conditions, inclement weather, and impacted roads, kicking in when prompted and intelligently managing the way you experience annual travel and daily commutes. This, paired with the sterling reputation of Honda vehicles to excel with government crash test ratings and a variety of advanced active Honda safety features, makes your choice easy when deciding which brand is right for the family, and for you, this year. How Does Honda AWD Work? Honda Real Time All-Wheel-Drive with Intelligent Control is an innovative AWD system that excels with ingenuity and real-time precision. This system is meant to override the differences you may experience in road conditions, helping you to grip the road better by sending torque to the rear whenever necessary. This leveling-out effect essentially returns traction back to the wheels in your vehicle that need it the most, bringing power, a sense of control and reassuring confidence back to a driver operating a Honda vehicle. This split-second reaction time is great for when black ice covers a snowy road in the winter, after a fresh rainfall, or for when you travel on an unpaved road or through backwoods terrain with little natural stability. What Honda Models Have AWD? Honda Ridgeline: All-wheel-drive trucks that don’t sacrifice performance for stability are really one of a kind, and the Ridgeline certainly succeeds in earning this rare distinction. Available all-wheel-drive in this vehicle has minimal effect on what the Ridgeline sets out to do: conquer heavy payloads and tow rigorous equipment with the best of them. Ridgeline all-wheel-drive models still can carry up to 1,584 pounds of payload and tow up to 5,000 pounds of equipment with a 3.5-liter V6 engine. Honda HR-V: This subcompact SUV offers available all-wheel-drive across three trim levels, ensuring the entire family can reap the benefits of a calm, tranquil ride. They can even enjoy a much smoother drive with the available continuously variable automatic transmission (CVT) really helping to bring a fulfilling experience together. Honda CR-V: The CR-V offers all-wheel-drive in every trim level, a considerable component to note when planning your holiday travel with the family every year. This small family crossover also offers plenty of cargo room and interior features to enjoy with that level of peace of mind. Honda Pilot: Very much family-centric and built to please, the Pilot lists all-wheel-drive as an available feature in every trim level of its model lineup. Sending power to all four wheels and not just the ones in the rear, the Pilot AWD supports towing of up to 5,000 pounds with a strong 3.5-liter V6 engine. There are a number of different ways to pave a strong and secure road ahead, and Honda aims to do just that with Real Time All-Wheel-Drive with Intelligent Control in a number of Honda models. Your reassurance that any journey can go as planned despite the conditions you may be travelling in is paramount, as the roads can sometimes be unpredictable and preparations are key. You surely will be prepared with an all-wheel-drive Honda backing you. 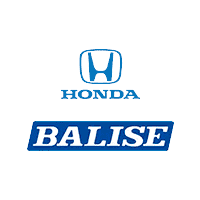 To learn more about Honda AWD and other safety features that can help improve traction while driving, please visit us at Balise Honda of West Warwick today.